If keeping your teeth free from cavities was the main and sole role of your dentists during days gone by, these days, your dentist is also in charge of ensuring that you have a beautiful smile. Dr. Ballard can help you to maintain that smile regardless of the fact that teeth stains naturally over time or that so many traumatic situations can lead to what should have been an irreversible damage to your teeth. All of that is possible with the help of cosmetic dentistry in Atlanta, and dental veneers to be specific. Dental veneers are thin shells which are molded on or bonded to the front surface of your teeth. Basically, they are like facades which help to conceal the dental imperfections which may be found on the dental enamel or even the inner layers of teeth. Unlike dental crowns, veneers only cover the front-facing side of teeth while crowns cover each tooth. What are dental veneers for? Just like with crowns, dental veneers help to conceal dental flaws which are isolated on the enamel layer of your teeth. 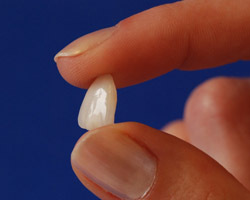 However, dental veneers do not confer the same strength to teeth just like crowns do. For this reason, dental veneers are only suitable for treating teeth which may have deep-seated cosmetic problems but for as long as they aren’t structural ones. Some of these flaws include intrinsic stains or stains which are isolated in the dentin layer of teeth as well as minor chips and fractures. What type of dental veneer is suitable for those in a budget? Sometimes, a tight budget can really limit your ability to opt for more sophisticated dental procedures. If money is too tight to mention but you badly need to repair your teeth using dental veneers, then you can opt for the ones which are done through composite bonding procedures. What type of dental veneer is suitable for those who want longevity from their restorations? If you do not mind shelling out more cash for as long as your veneers are able to stand the test of time, then you should opt for porcelain veneers. Porcelain is a durable material which is capable of withstanding chipping. At the same time, porcelain veneers are also resistant to staining and are able to resemble teeth more naturally compared to other materials used to make veneers.